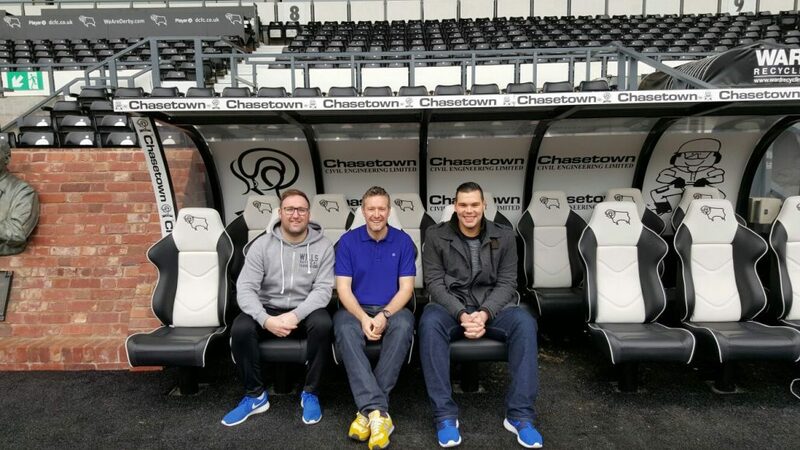 Derby County fan Stephen Roper lost more than six stone in a year thanks to the Derby County Community Trust’s Active Supporters programme. Stephen said he ‘’lost control’’ and piled on the weight after a series of ‘’life-changing events’’. He lost six stone, two pounds in one year under the scheme and says he has ‘’never looked back’’. ‘’There was an NHS health check scheme going on and I was asked by my GP if I wanted a health check there but there was another scheme going on through Livewell,’’ he said. 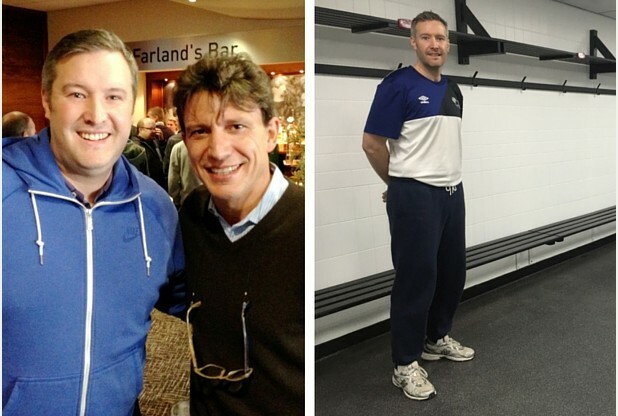 ‘’I booked myself in for a health check and went from there really. They checked for a range of of things and nothing came back good. I overweight, my blood pressure was high – the only thing that was ok was that I wasn’t diabetic. 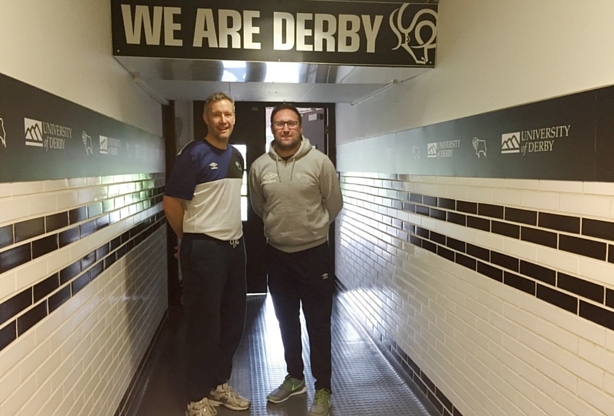 Active Supporters was developed through a partnership with the Derby City Council’s Livewell service, to help men get fitter, stop smoking, drink sensibly and improve their health and wellbeing. 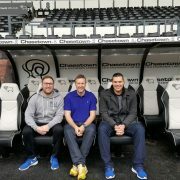 The programme is also based on the fitness and nutrition regimes followed by Derby County Football Club players so you can learn to eat and train like your football heroes through various sessions including football, gym circuits, bootcamp circuits, fuel your game and badminton. BEFORE AND AFTER: Stephen Roper, left, in less healthy times. Right, Stephen after being in the Active Supporters programme. Stephen added: ‘’After my health check, I was advised that I had been accepted onto a programme and one of the options was the Active Supporters group. I was pushed in that direction as a Derby fan and season ticket holder. So, I was introduced on to the programme and told what activities were on offer. A week later, I started on the classes. I did boxing and joined in the circuit groups and went from there. ‘’I started doing more exercise with the support of the team and I started thinking more about my diet- it was small steps right the way through it from the start. I was looking at portion sizes, what I was eating, what was good, what was bad and learning about the importance of having a balanced diet. Stephen admits that he found it difficult at first and felt ‘’embarrassed’’ to take part, a feeling that quickly passed. ‘’Like any man, you perhaps feel more embarrassed to be taking part in group activities, in particular, when you’re a bigger guy, overweight. You perhaps feel like you’re not fit enough to take part but I quickly overcame that hurdle and I was encouraged by the like-minded people on the course. Luke Wilkinson, Active Supporters Team Leader said: ‘We’re really pleased for Stephen. He is a true inspiration for everyone involved in the programme. His commitment to improving his physical health has been superb and he has been a pleasure to work with over the past 12 months.